For Rapula Anthony Ntau, farming has always been a way of life. Ever since he was a small boy, Ntau woke up in the morning to herd his father’s cattle to graze and came back late in the evening. He watched and learned as his father went about his daily duties at the cattle post. Later on he took over some of the duties; and over the years he has matured into an all round farmer. How did you get into farming? Tell us your story. “I was raised among cattle. That’s why I love them so much. Farming is in my blood,” he says confidently as we settle down under a tree shade. 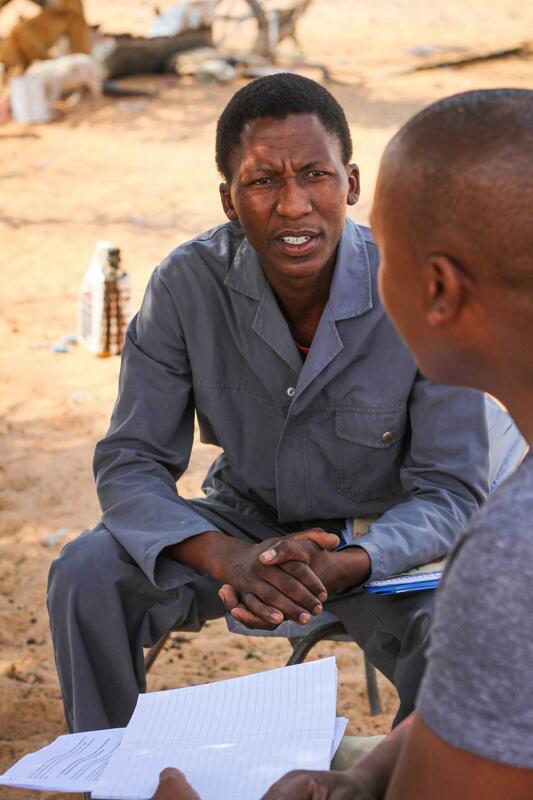 After completing his Form 5 in 2002, Ntau enrolled for a City & Guilds Certificate at Kanye Brigade and subsequently worked in the construction industry as an electrical technician. But he never lost his love for farming as he used most of his salary to buy goats, eventually accumulating an impressive 70 goats and seven (7) cows. He then bought an additional 50 goats through the Youth Development Fund (YDF). 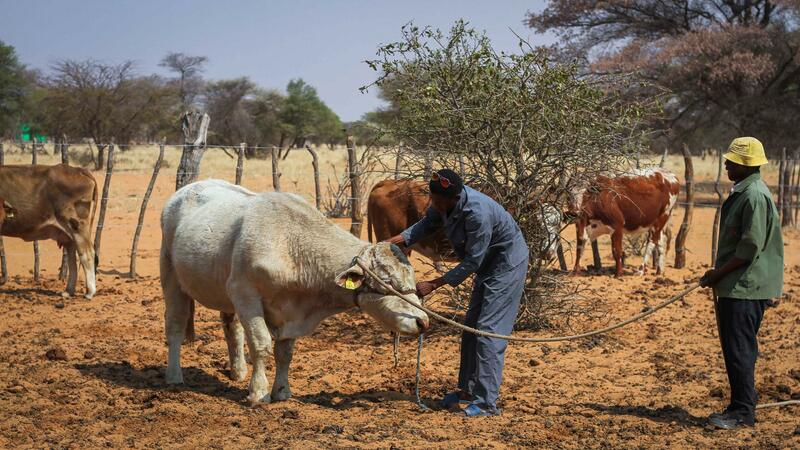 “I kept my animals at my parents’ farm in Khubulabojang and only checked them occasionally when I wasn’t at work,” explained Ntau. Over time, he started spending more time at the farm and less time doing electrical work. While attending the Ghanzi Agricultural Show in 2014, Ntau visited the CEDA stall to ask about opportunities for financing. How did you come to seek financing from CEDA to start farming full time? “I was inspired by a friend who was doing very well after being funded by CEDA through the Young Farmers Fund. So I wanted to check if I could also be assisted,” he said. After going to one of CEDA’s outreach events I left the stall a happy man as the CEDA team had explained the application requirements and processes to him in detail. I spent the next few months perfecting my proposal and working out a detailed business plan for my envisaged farming project. Though I received assistance from friends and CEDA staff, I tried as much as possible to produce the business plan myself. I faced many challenges, but never despaired because my ultimate dream was to become a successful farmer; and I believed that CEDA could make that dream come true. I submitted myloan application by end of August 2016. Three months later I was told that my application had been successful and was given P451, 000 to purchase livestock. I immediately moved from under my parents’ wing and relocated my cattle post to a suitable location nearby. 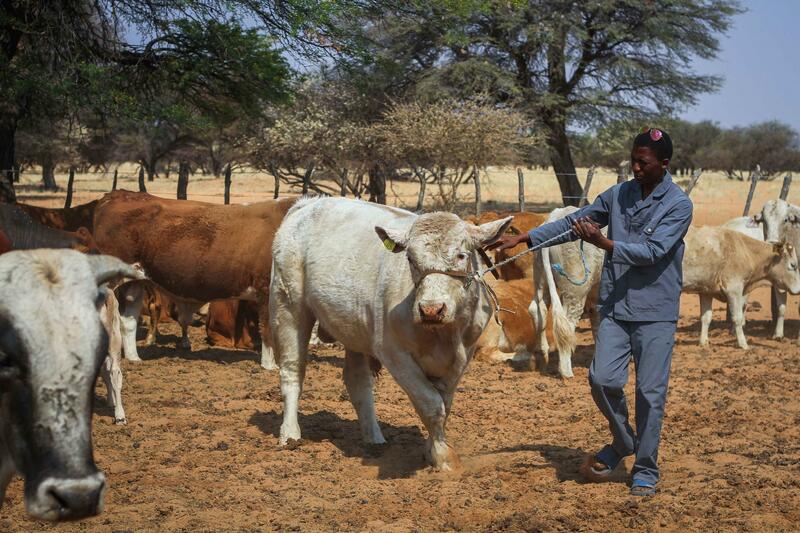 Moving my cattle was not difficult for me as I had long planned it from the day I decided to apply for a CEDA loan. After successfully being funded what did you have to do to set up your farm? “I started collecting gum poles and fencing materials immediately after submitting my application. 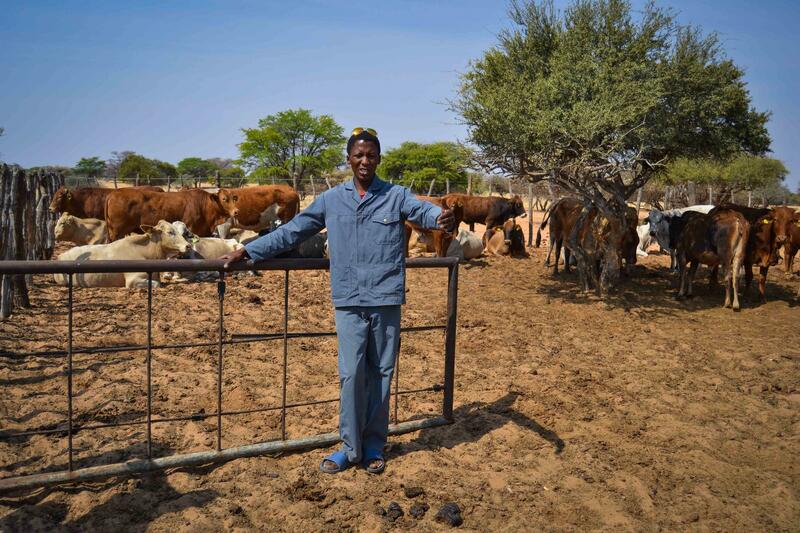 It was important for me to have my own farm because I wanted to maintain proper records and keep track of my livestock,” he explained. I then went about purchasing livestock for his new farm. 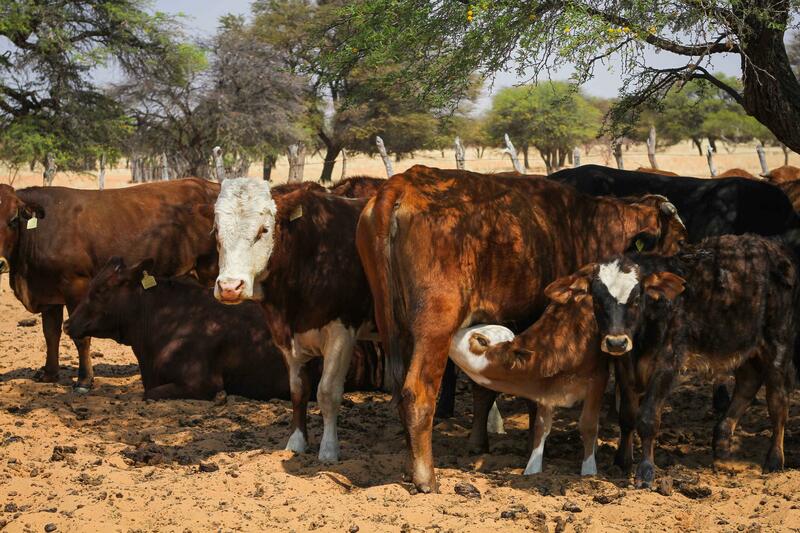 I bought a total of 137 beasts, including six (6) bulls, 49 cows and their 49 calves, as well as 33 heifers. Of the 49 calves that I bought, 34 were female while 13 were male. 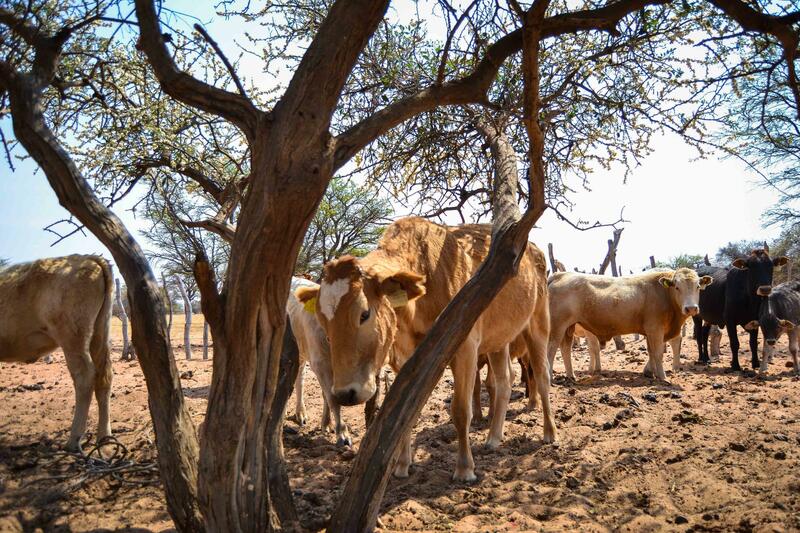 Because I bought most of the cattle from nearby farmers, they never strayed far as they were in familiar territory. Again, Tsabong is a good area for farming as it has good pastures and is not prone to animal diseases. There is also abundant water on my farm as the family has two boreholes. What challenges have you experienced in farming? 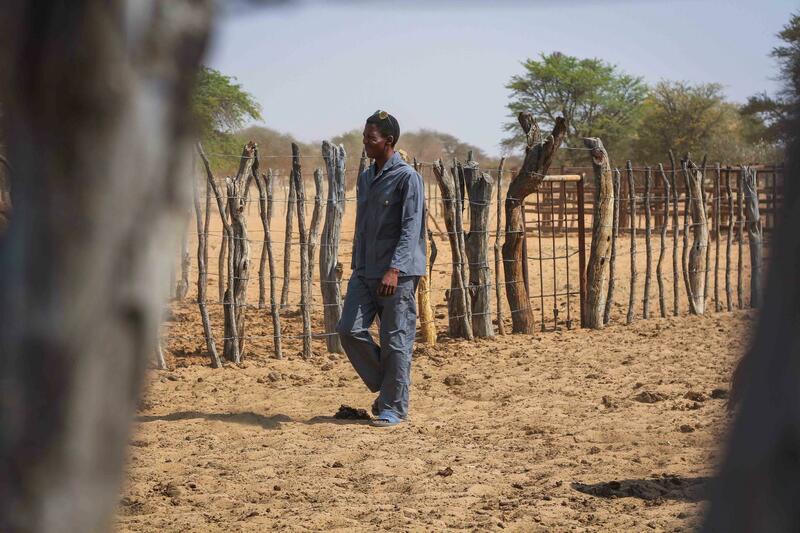 The 2015 drought presented immense challenges for me and my farming enterprise. It was a time of scarce rains, dry velds and empty dams. 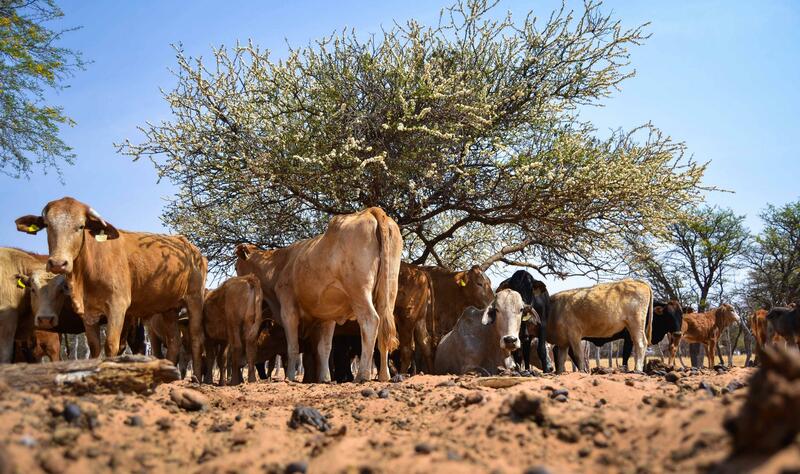 In early 2016, some of my cattle drifted away in search of water and greener pastures. Of the 30 cattle that were lost, I managed to recover 21 while nine (9) were never found. But I was not deterred. I soldiered on and continued taking care of my livestock. Because of the good rains that fell earlier in the year, my cattle gave birth to 47 calves in 2016. Another 70 calves were born in January 2017. I am confident that if the rains continue I will record a minimum 100 new births between October 2017 and March 2018. How successful is your business right now? “My cows give birth between October and April. Almost every month after that I get one or two calves. Most of the heifers that we bought earlier are also calving,” he said. So far I have managed to sell my livestock twice in 2017, generating P176, 000 from the sale of 40 herds of cattle. He used P118, 000 to pay CEDA and reinvested some of the proceeds into the business. “If things go according to plan, I’m sure I’ll be able to finish repaying my loan before the stipulated five (5) years,” he said confidently. What advice can you give young and aspiring farmers? All I can say is that farming comes with a lot challenges. One cannot simply treat it as a hobby or take it by chance. You have to take it as a real business and treat your stock with respect as well as those you farm with. Costs of vaccines and cattle feed is expensive and you need to know how to carefully use your money to ensure you breed good quality cattle. Farming is very competitive and you need to know how to breed stock that can impress your market. You need to also constantly benchmark with more established farmers to ensure that you are on course. “Time and resilience are needed in farming. You need to constantly engage with people from CEDA and give them progress of your project to assure them that you are really putting your best foot forward”.